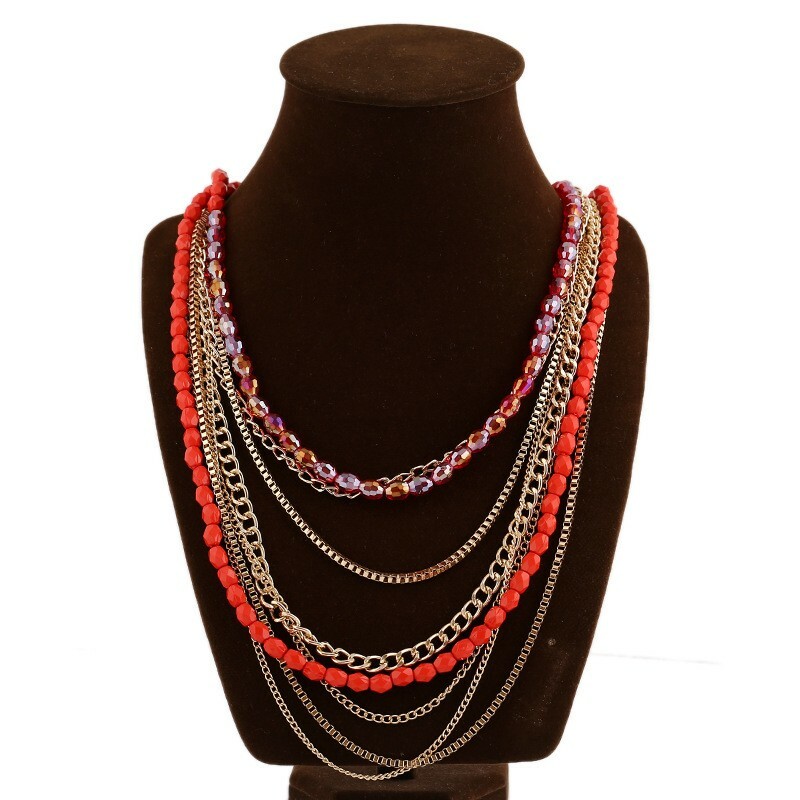 Brighten everyday looks with a fashion collection of color. 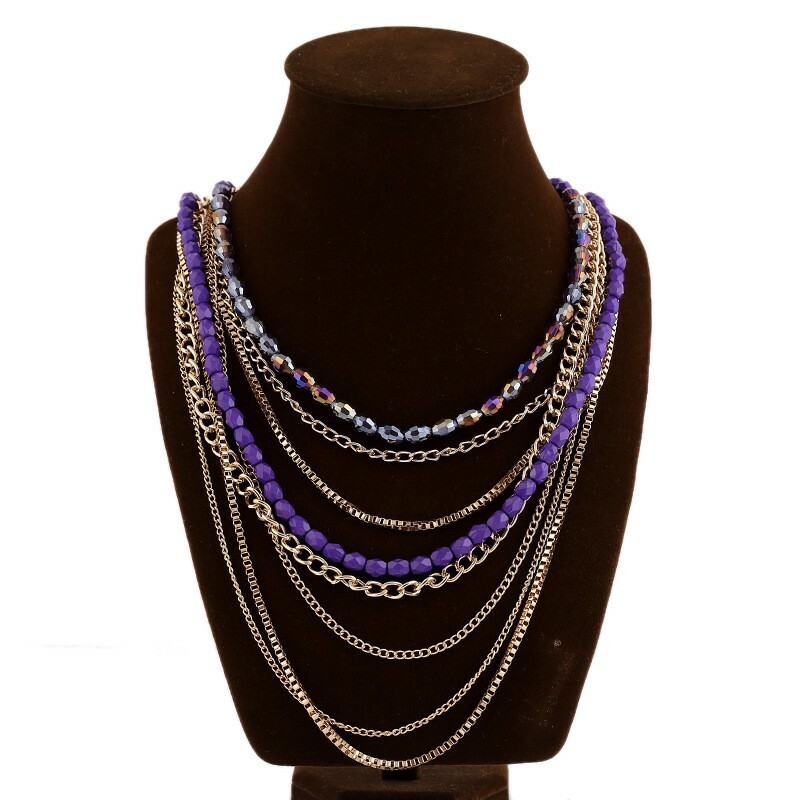 Brilliant yellow red purple beads and sparkling rhinestones make this long layered necklaces a tasteful spring standout. 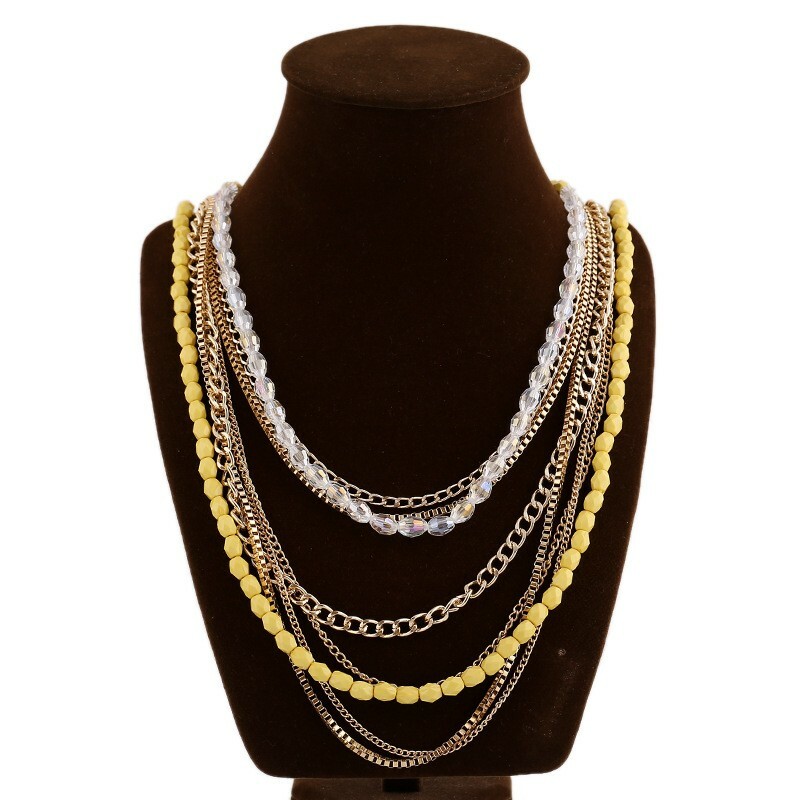 Three colors costume jewelry for your different outfit . 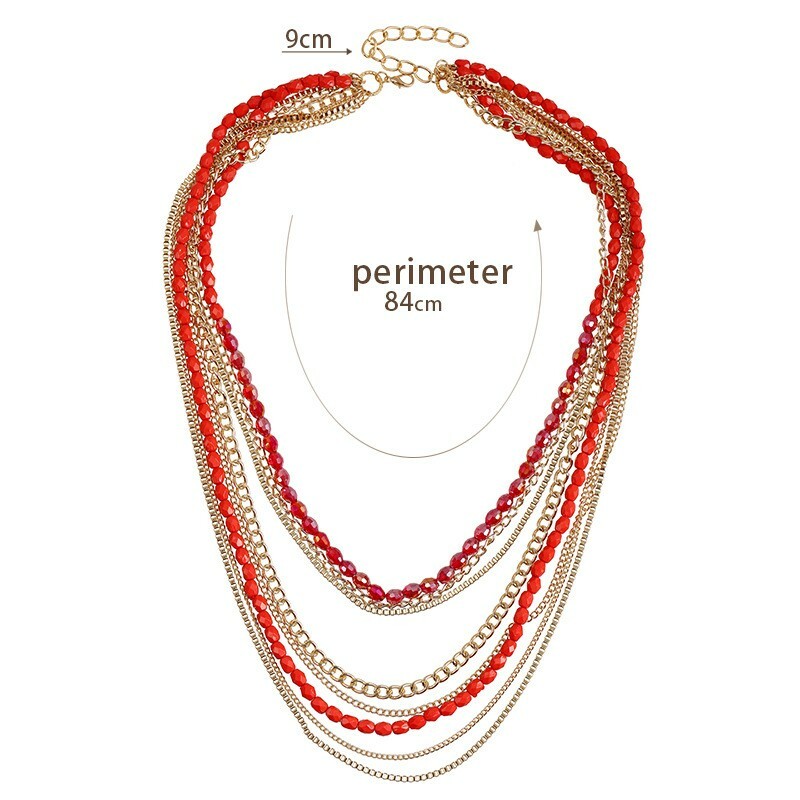 The drop necklace approximate 150 grams Weight and inner perimeter 84 cm with a 9cm extender.